Justin Llamas is an emerging Pop artist who describes his style as "edgy and aggressive with a dark undertone." He first emerged online in 2010 when he started uploading covers to YouTube. To this date, he has 2M plus views on Youtube. Originating from the Bay Area, Justin Llamas is an emerging Pop artist who describeshis style as "edgy and aggressive with a dark undertone." He first emerged online in2010 when he started uploading covers to YouTube. In only a few years he gained over2 million video views and a loyal fan following. His most popular video to date, a coverof Sia's "Chandelier," gained so much attention that it was even shared by the originalartist on most of her social sites, gaining over 700,000 views.Justin's voice has been described as a "melting pot" of Pop, R&B, and Alternative Soul--which he considers to be the result of his mixed upbringing and widespread interestsgrowing up. From music to dance, and comic books to animation, he believes all of hisinterests have shaped him into the eclectic artist he is today.His electrifying talent caught the eye of Vena Brewer, previous manager of Grammy-nominated artist Keyshia Cole. With a storytelling voice and an unstoppable drive,Brewer believes Justin to be the next big artist to ambush the music scene.Now, Justin is releasing his first original project with his debut EP, Gold. The EP's titleThe title song features vocals from multi-platinum artist Amina Harris, while the EP's title itselfwas inspired by the California Gold Rush and the "journey" those make to follow theirdreams--something he considers a necessary step in his own life. 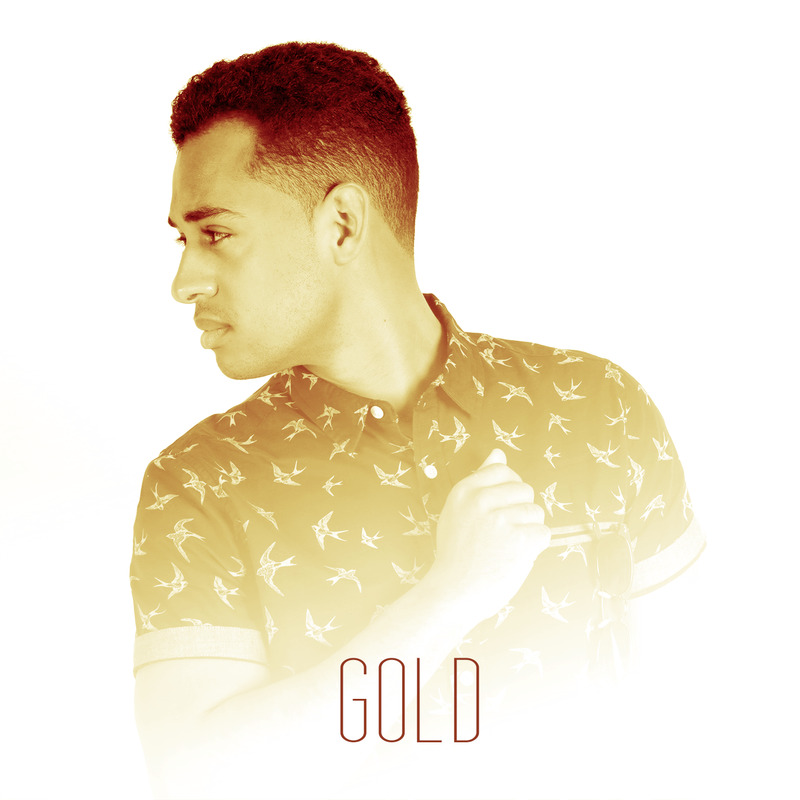 May 13th marks the official release date of Justin Llamas’ debut EP, Gold. introducing a major artist at the start of their career. while “Figure Things Out” is a personal favorite.